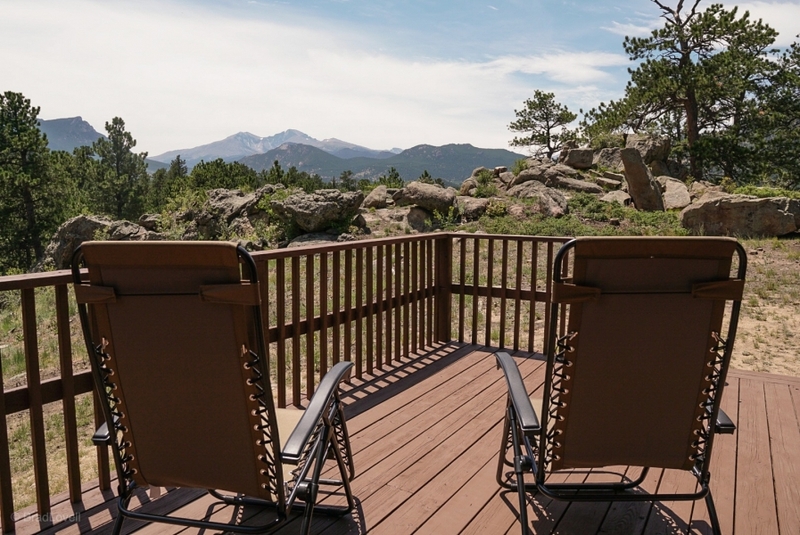 Perched above Estes Park and hidden from the rest of the Estes Valley, Longs Peak Lookout has rare privacy on over 3 acres. 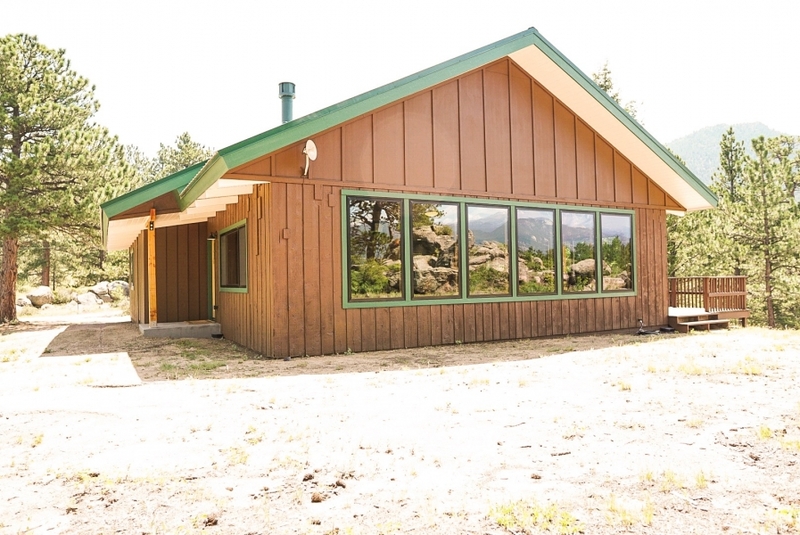 Located among large rock outcroppings this totally remodeled 4 bed 2.5 bathroom home is a true retreat from everyday life. 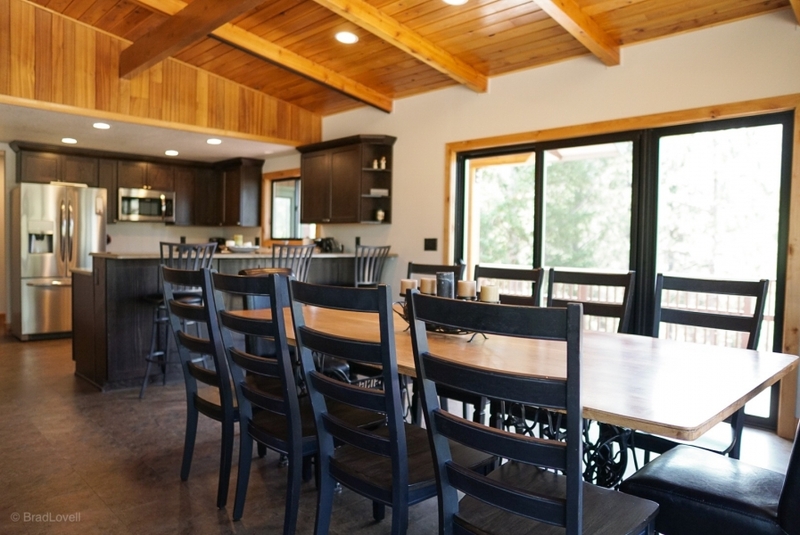 Upon entering this home you will be greeted by the light filled great room. 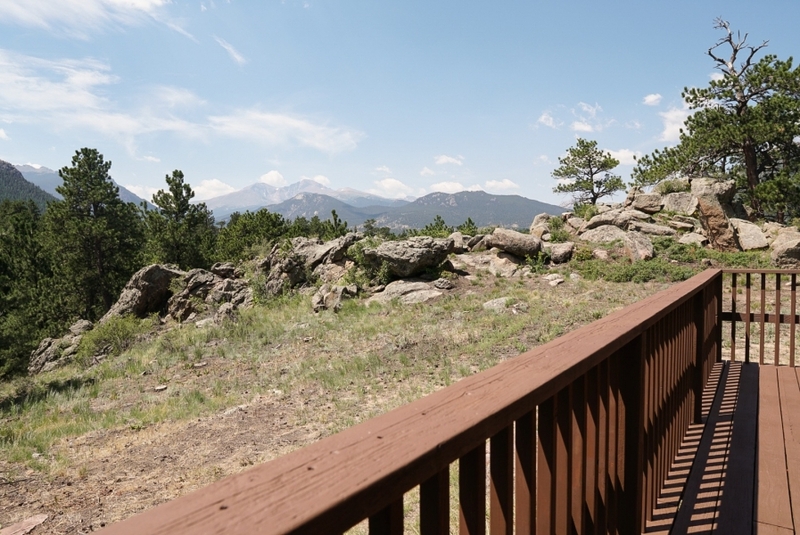 The views from this room are remarkable. 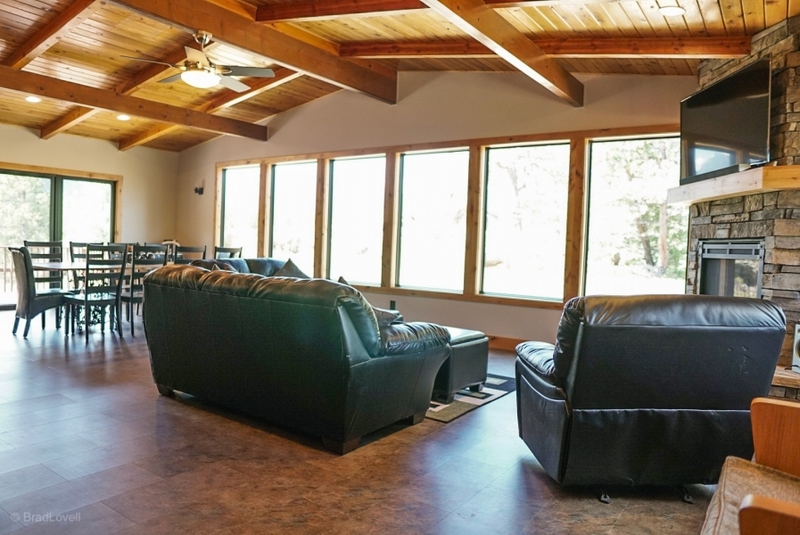 The great room is highlighted by a floor to ceiling stack stone gas fireplace, comfortable leather furnishings, exposed beams, warm tongue and groove ceiling, ceiling fan, and large flat screen led TV. 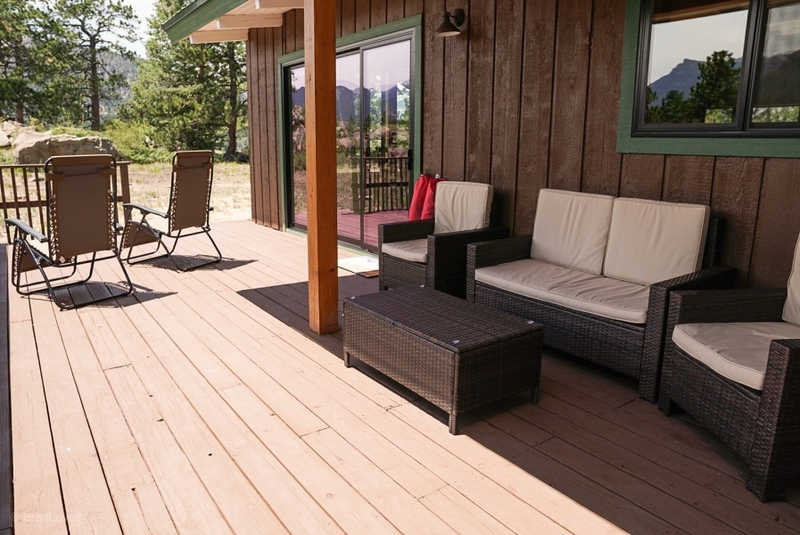 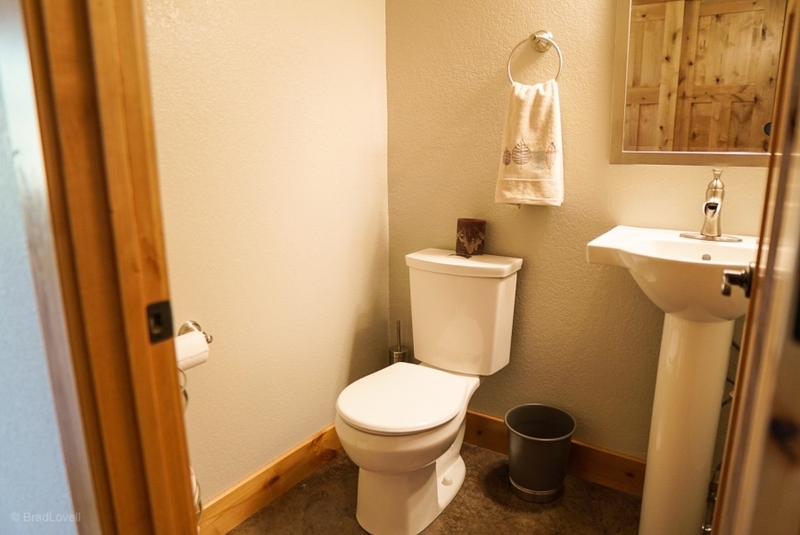 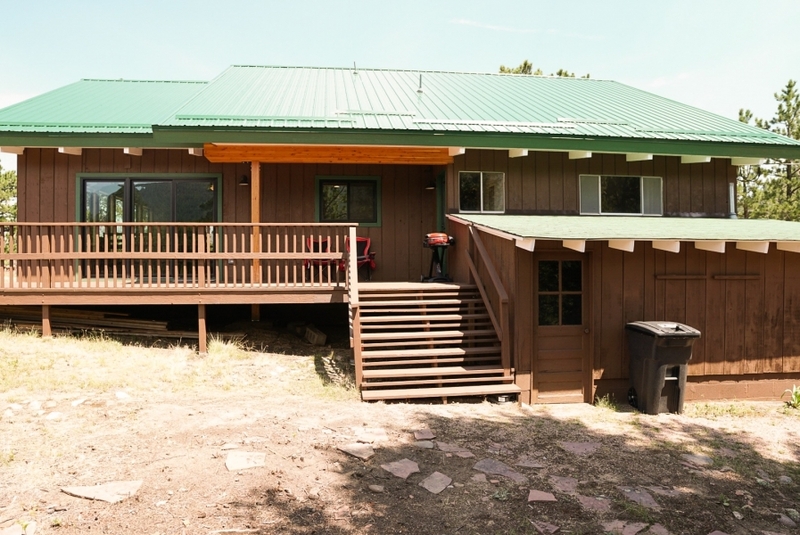 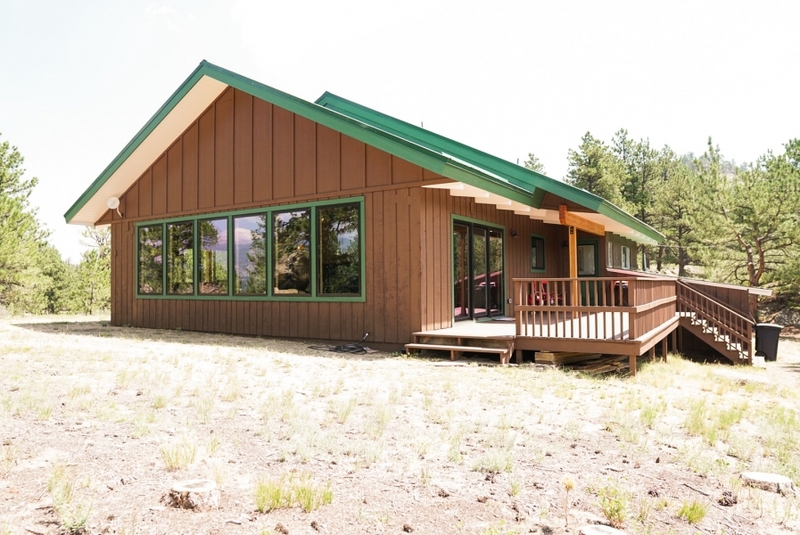 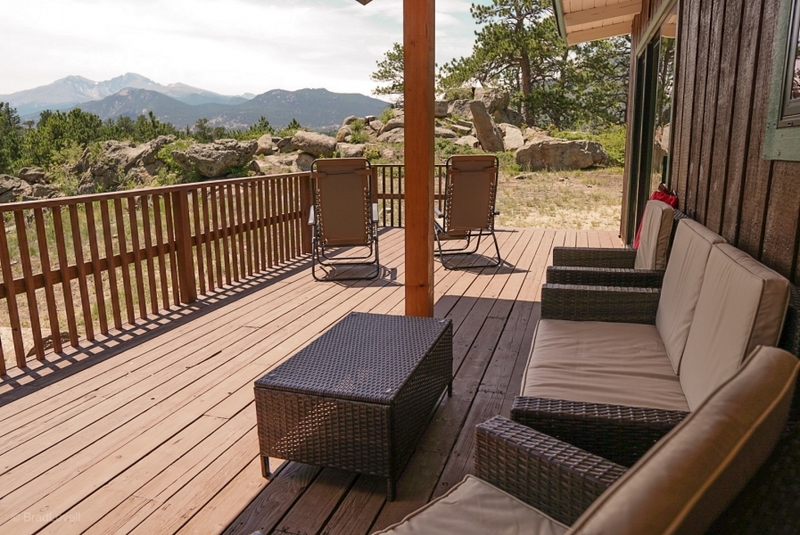 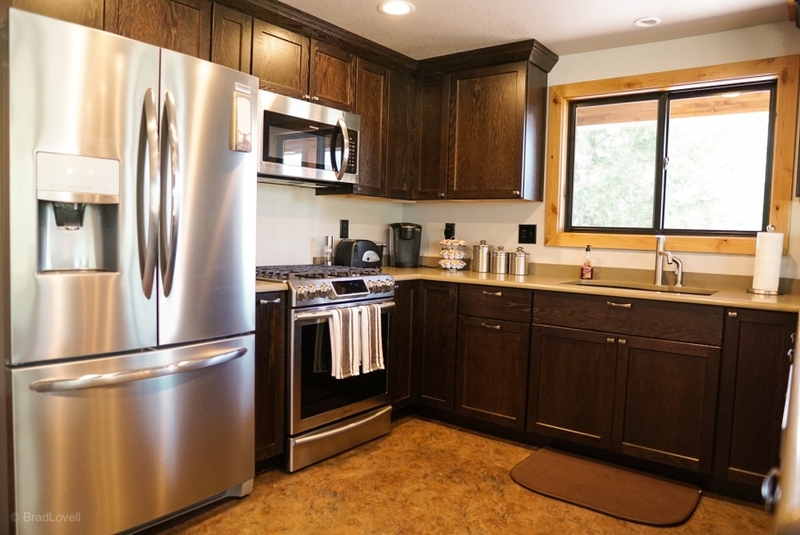 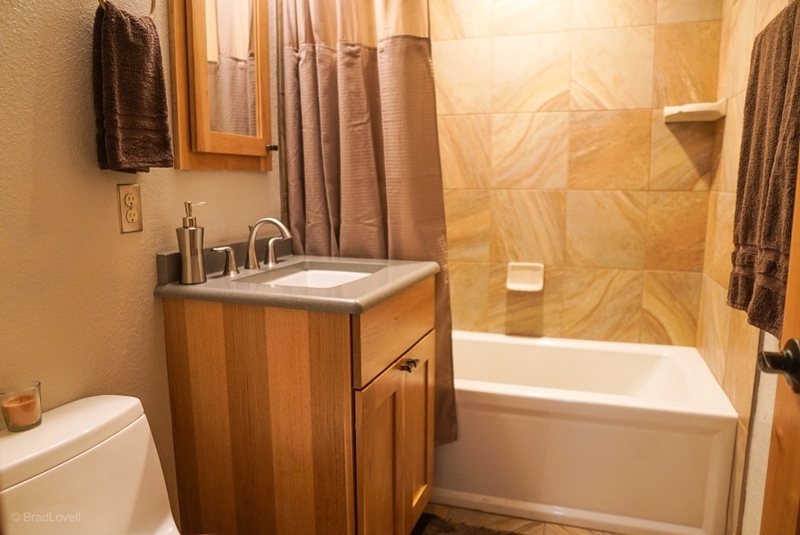 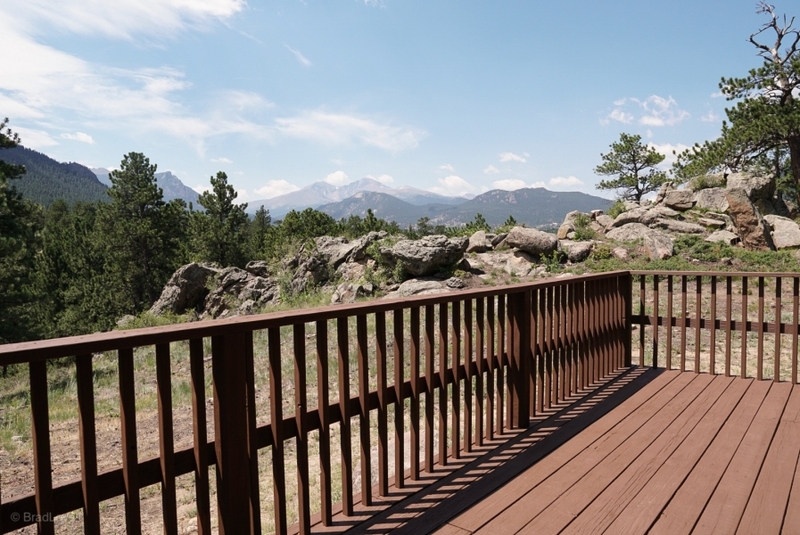 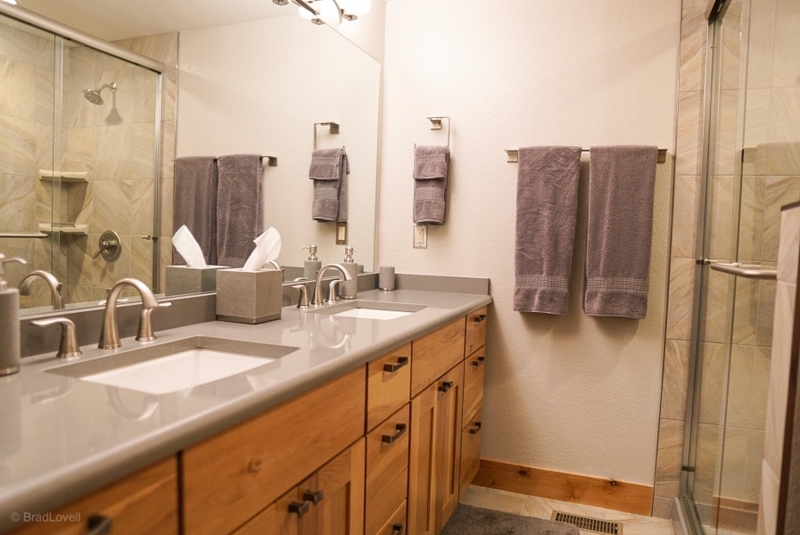 Adjacent to the living space is the open dining area with easy access to the deck with propane grill and the seemingly never ending views of all of Estes Parks largest peaks. 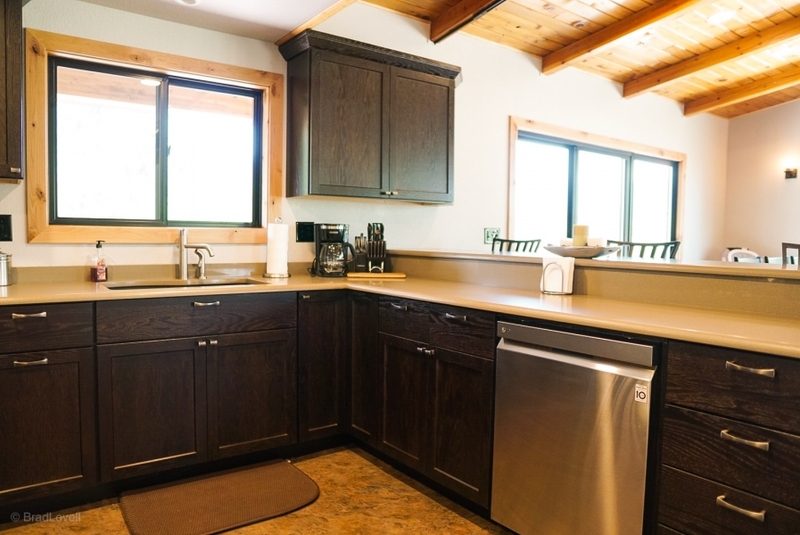 Next to the dinning room is the spacious chef’s kitchen. 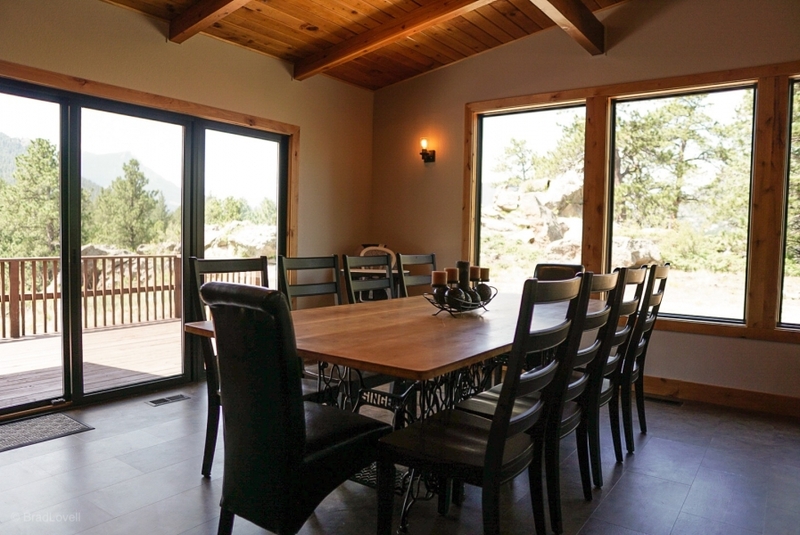 All stainless steel appliances, dark stained shaker style cabinets, solid surface countertops, and a window to take in the views. 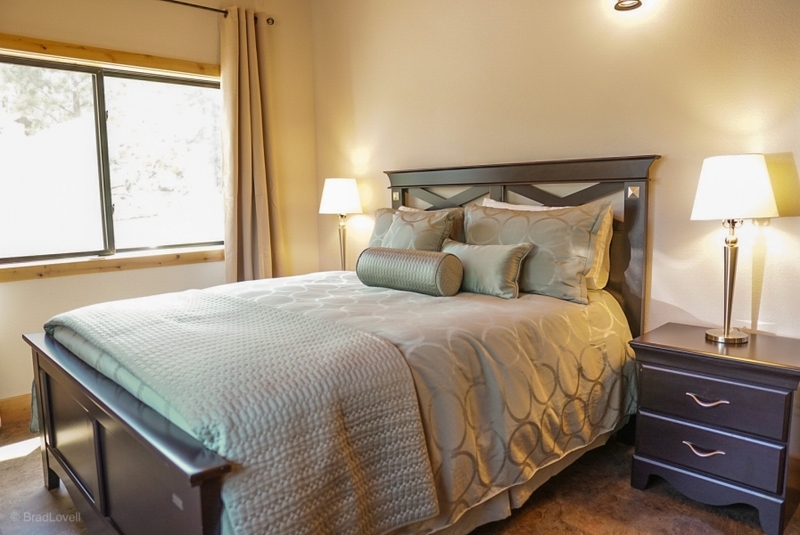 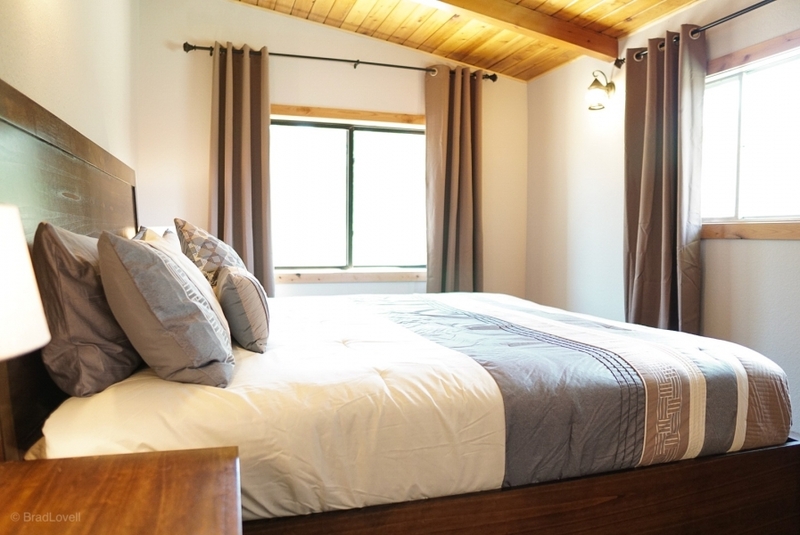 The master bedroom features a king sized bed, tasteful decorations, and two large windows to let in the natural light. 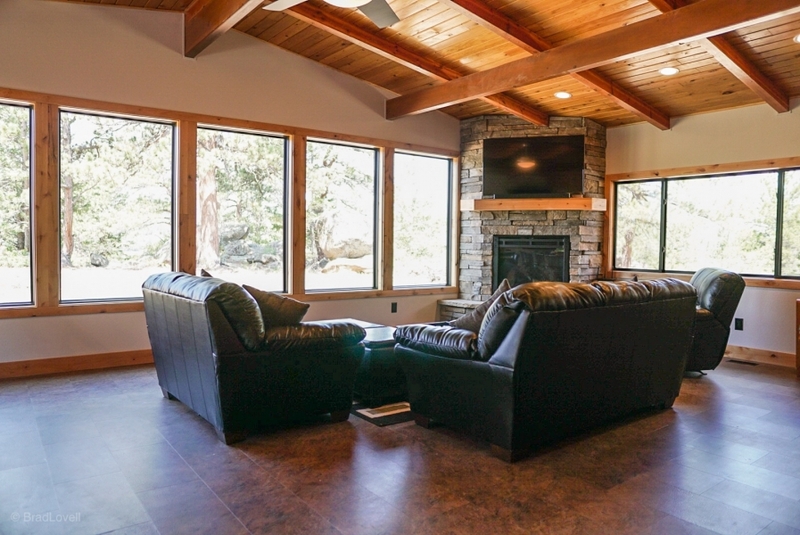 Tongue and grove ceilings highlight this comfortable retreat. 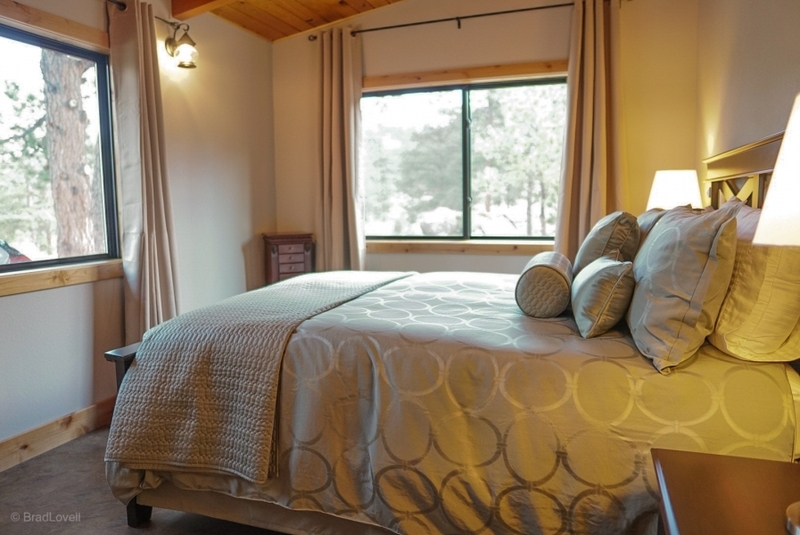 Bedroom 2 has a queen bed, two large windows, and an elegant mountain style. 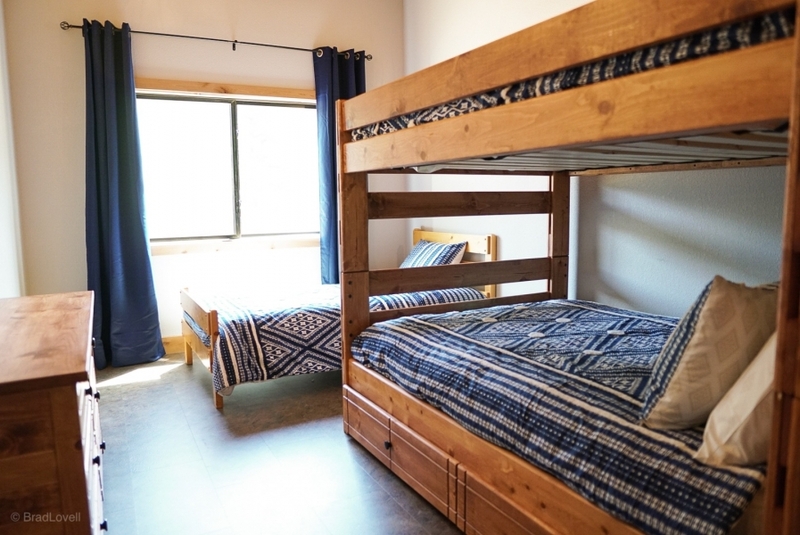 Bedroom 3 has a full over full bunk bed and separate twin bed, large window, and dresser. 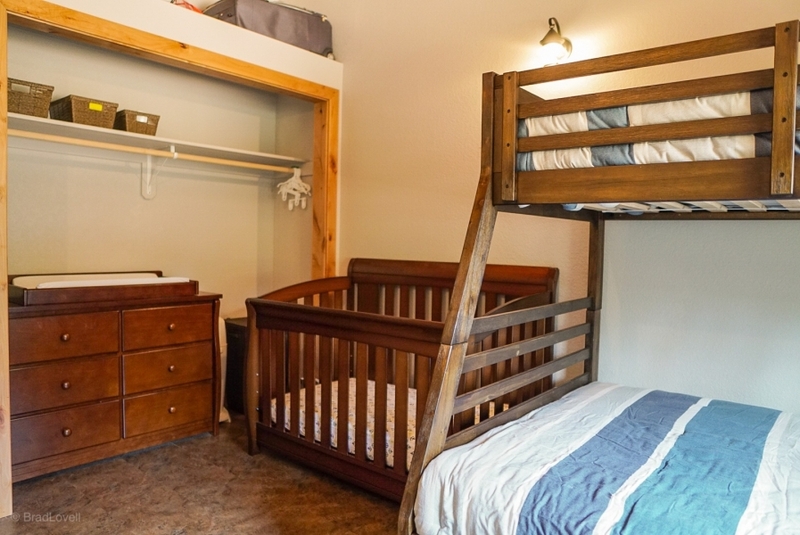 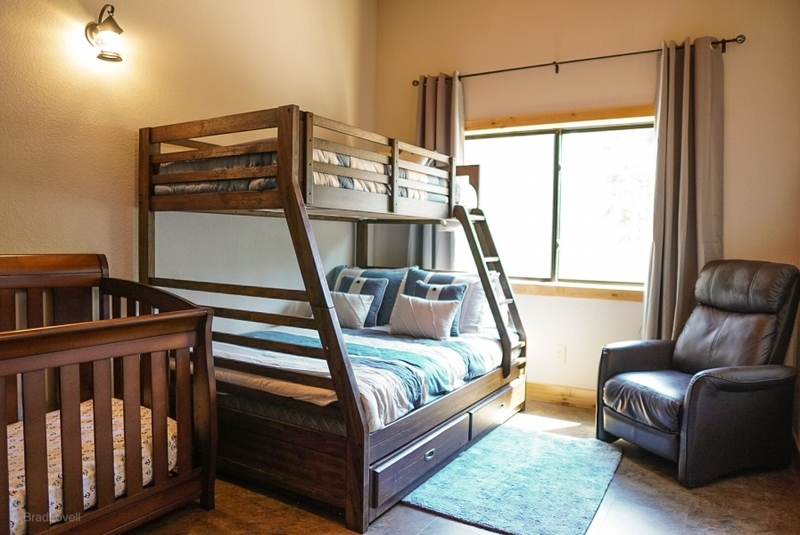 Bedroom 4 has a twin over full bunk bed, crib, comfortable recliner, and large window.